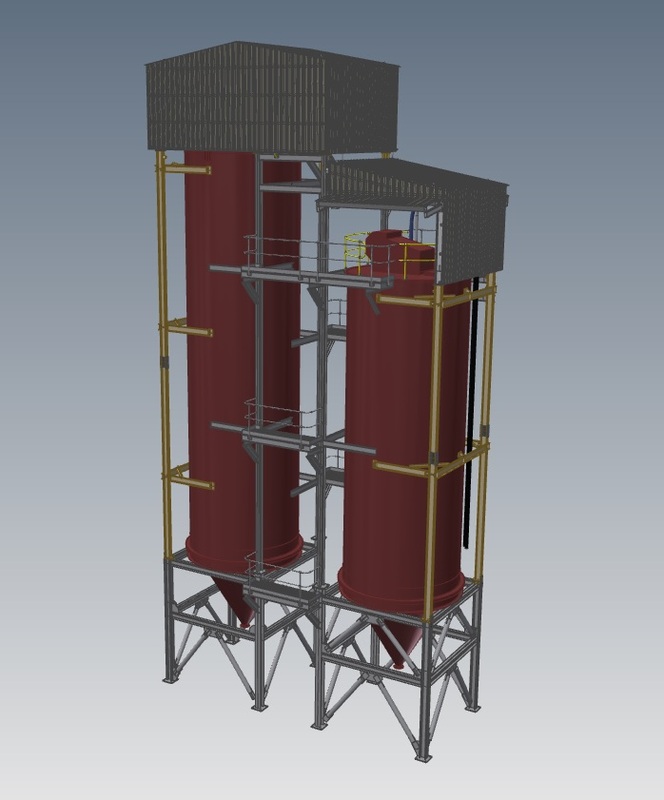 Storage Silo to supply the fibre cement manufacturing process. 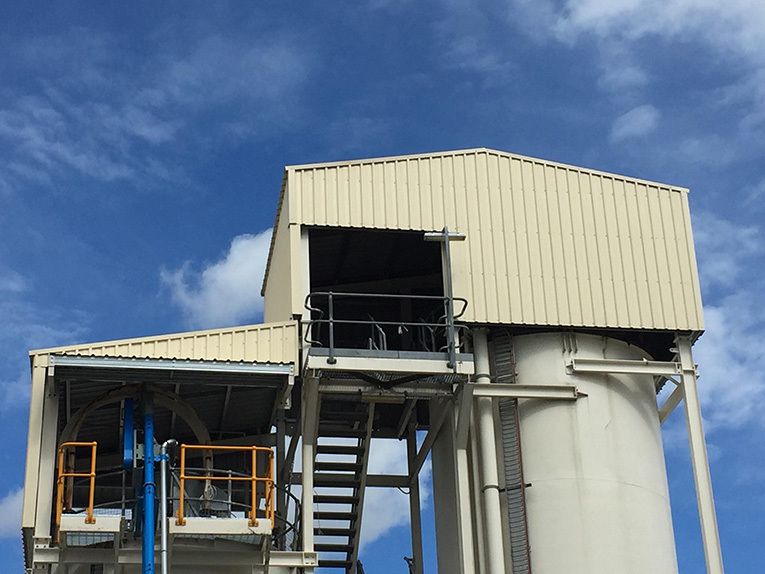 The awning was designed over both the kaolin and cement silo to help prevent water entering the silo and help with maintenance down time with safety as a key point. 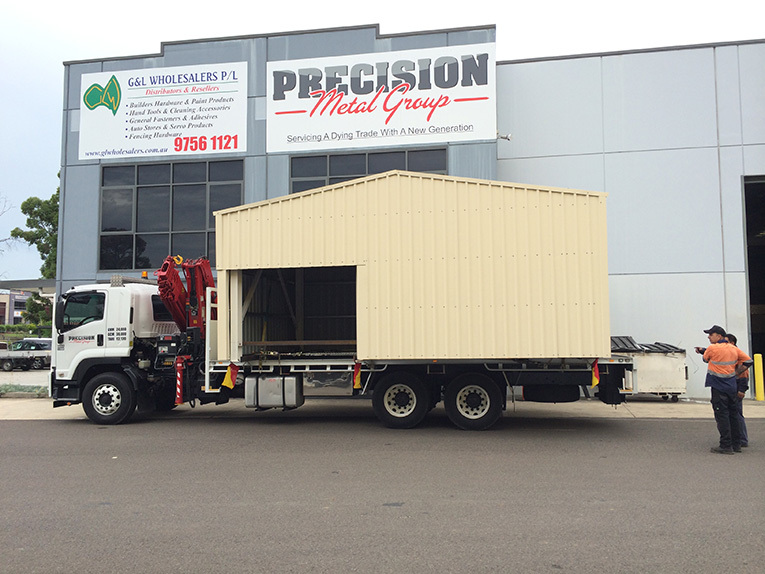 Precision Metal Group developed an affordable and effective awning design to help clients reduce cost and prolong equipment life. 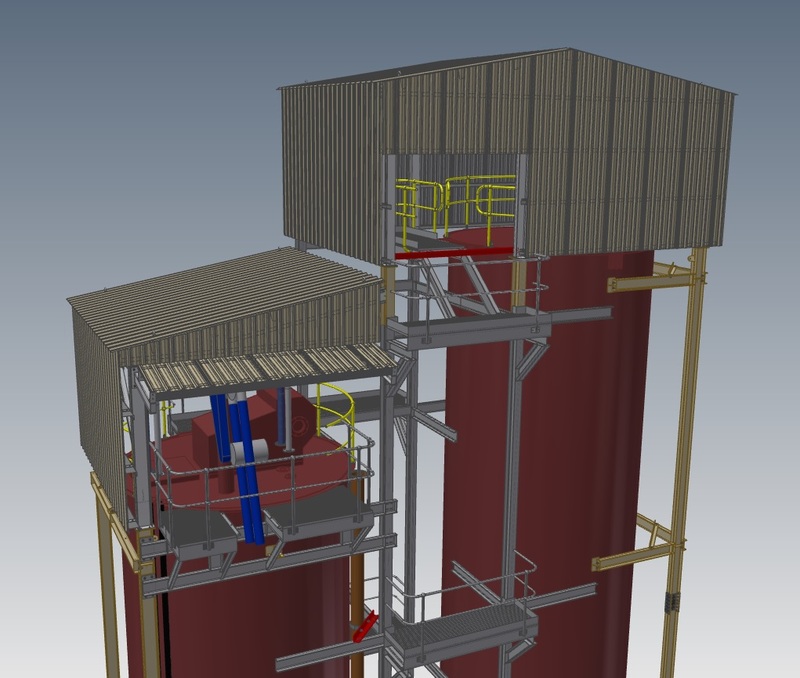 3D modeling was used in the process of overcoming challenges in the design phase. 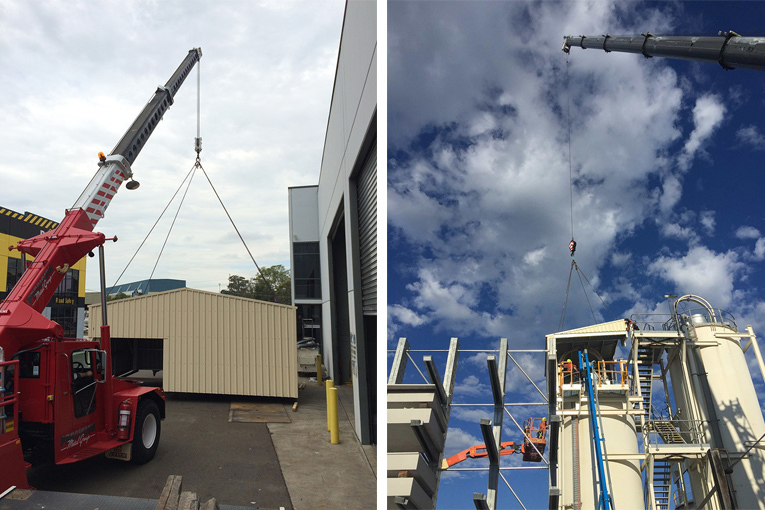 In less than 6 hours, Precision Metal Group installed the hood, which reduced the client’s down time.